"Sweet Nothings" is a formal yet intimate series of black-and-white photographs taken of Turkish schoolgirls who live in the country's borderlands of Eastern Anatolia. 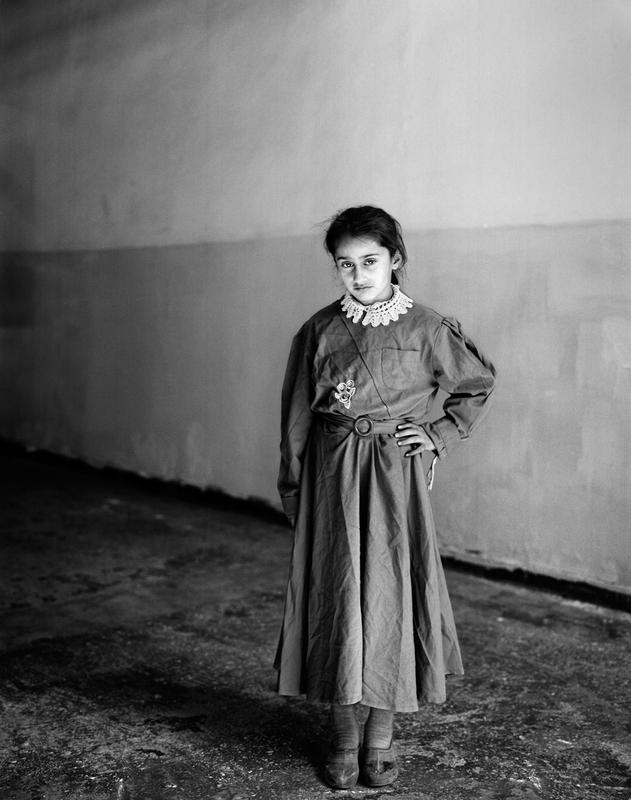 Artist Vanessa Winship had been living and traveling in Turkey for four years when she decided to begin making portraits of these girls in their ubiquitous blue uniforms. Life is harsh in the areas adjacent Iraq, Iran, and Armenia, where girls have traditionally not attended school in great numbers. Due to a concerted effort on the part of the government, however, the number of girls enrolling in schools is slowly on the rise. "Knowing their status I wanted to give a space for the girls to have a moment of importance in front of a camera. I decided to use a slower, formal way of making the pictures to create this space. Every frame was made at the same distance to ensure a kind of equality to each girl. I hoped the symbol of the uniform, the distance in repetition, and the austerity of the landscape would represent one thing, but I also hoped more than anything, in the expressions of the girls faces, to draw attention to the idea of these young girls poised at the moment 'just before.' The moment where possibility lies, a time where the presentation of self teeters into consciousness." Vanessa Winship was born in the United Kingdom in 1960, where she currently resides. She completed a BA with honors in film, video, and photographic arts at Westminster University in 1987, followed by a postgraduate diploma in photojournalism from the London College of Printing in 1995. Winship has been working as an independent freelance photographer since 1992, spending significant time in Turkey and the Balkans since 1999. "Sweet Nothings" received the Sony World Photography Awards Iris d'Or in 2008, and was published as a book of the same name by Images En Manœuvres and Foto8 in 2008. Winship's work has been exhibited in the US, China, and across Europe, and has three times received awards from the National Portrait Gallery in London. She is currently represented by Agence Vu.